Rack guards can be installed on any rack, but require different hardware. 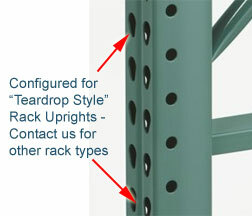 These are configured for teardrop style racks. If your rack is another type, contact us for assistance. 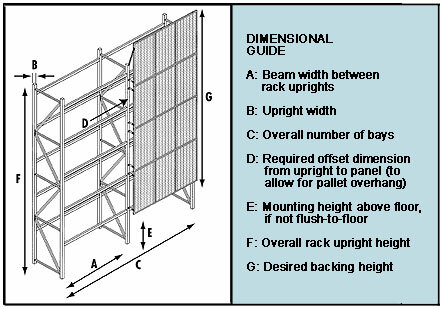 Specification: Specify by matching the width of your rack beam to the listed enclosure width, then match the listed height and depth to that of your rack. 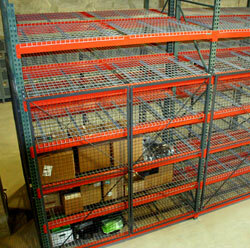 If you don’t see the size of your rack, contact us—we can easily size the system to fit any pallet rack. See drawing below for dimensional measurements. The standard units on this website are preconfigured. If you don't see what you need, contact us.